Because nothing says “you can trust us” like police vehicles and unmarked white vans accompanying government officials into immigrant neighborhoods. 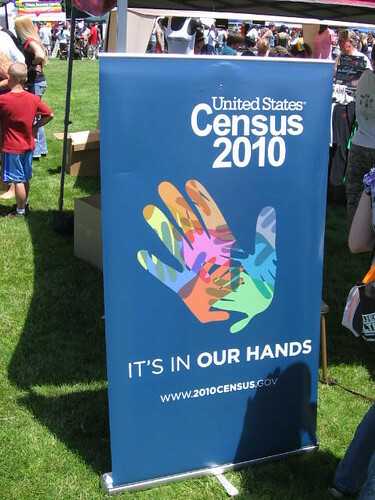 Spurred by some healthy criticism, the United States Census Bureau decided to increase outreach to immigrant communities in order to reassure immigrants about the 2010 Census. Along with Representative Henry Cuellar, the Census Bureau Director Robert Groves took it upon himself to tour immigrant communities near the borderlands of Texas where the stakes are high. United States border counties are, historically, the most under-counted regions during the decennial census. A proper count of everyone in the state might mean up to four more seats for Texas in the House of Representatives. An under-count means less benefits for everyone in the state. While harboring good intentions, Groves, Cuellar and representatives from the U.S. Census Bureau showed up in Laredo, Texas, with police cars and large white vans, scaring several immigrants in the process. I am not sure what Mr. Robert Groves was thinking, but showing up with law enforcement and ICE-type vehicles is not the way to alleviate immigrant fears and earn trust. It looks like the Census Bureau needs to do more than just outreach, hiring, and translation of materials.